Taiwan elected Tsai Ing-wen as its first female president Saturday, handing her pro-independence party its first majority in the national legislature and rejecting the China-friendly party that has led the self-governing island for eight years. The result should be deeply unsettling to China, which may respond by further reducing Taipei's already limited ability to win diplomatic allies and participate in international organizations. In a statement issued after Tsai's win, the Chinese Cabinet's body for handling Taiwan affairs reaffirmed its opposition to Taiwan independence, but said it would work to maintain peace and stability between the two sides of the Taiwan Strait. "Our will is as strong as a rock, our attitude unswerving on the principal matter of safeguarding national sovereignty and territorial integrity," the Taiwan Affairs Office said. 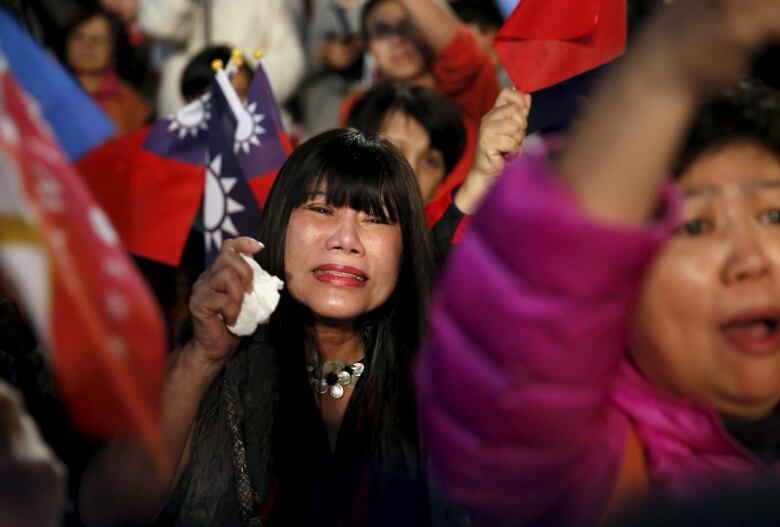 Voters concerned that Taiwan's economy is under threat from China and broadly opposed to Beijing's demands for political unification resoundingly chose Tsai over the Nationalists' Eric Chu, a late replacement for his party's original candidate who was seen as alienating voters. ANALYSIS | Have China, Taiwan finally stopped staring each other down? Tsai said her victory was a further show of Taiwan's ingrained democracy and its people wish for a government "steadfast in protecting this nation's sovereignty." She too pledged to maintain the status quo with China. She said both sides have a responsibility to find a mutually acceptable means of interacting, while adding that Taiwan's international space must be respected. She said she would correct past policy mistakes, but warned that "the challenges that Taiwan faces will not disappear in one day." Chu resigned from his party's leadership to take responsibility for the massive loss. 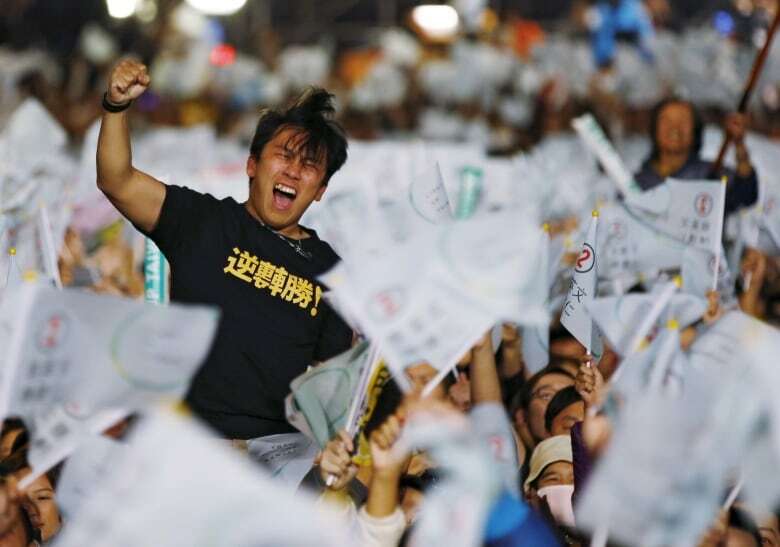 In the final tally, Tsai won more than 56 per cent of votes, while Chu had 31 per cent and a third-party candidate trailing in the distance. Outgoing President Ma Ying-jeou is constitutionally barred from another term. Making Tsai's task easier, her Democratic Progressive Party won 68 seats in the 113-member national legislature that has been traditionally dominated by the Nationalists, who took 36 seats, with the rest won by independents and smaller parties. Illustrating the extent of their defeat, the Nationalists had won 64 seats four years ago. The new legislature convenes next month while Tsai is set to be inaugurated in May. The United States, Taiwan's most important ally and source of defensive arms, congratulated Tsai. "We share with the Taiwan people a profound interest in the continuation of cross-Strait peace and stability," State Department spokesman John Kirby said in a statement. 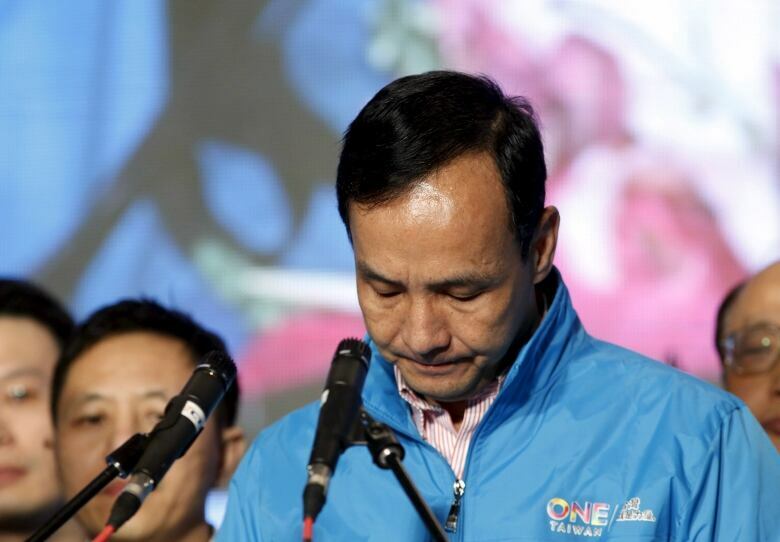 Addressing a thin crowd of a few hundred supporters at his campaign headquarters, the Nationalists' Chu said: "We failed. The Nationalist Party lost the elections. We didn't work hard enough." He followed his concession speech by making a long bow. Reflecting unease over a slowdown in Taiwan's once-mighty economy, undeclared voter Hsieh Lee-fung said providing opportunities to the next generation was the most important issue. "Economic progress is related closely to our leadership, like land reform and housing prices. People aren't making enough money to afford homes," Hsieh said. Tsai has proposed to open 200,000 units of affordable housing in eight years. Her party suggested in May that Taiwan's laws change to raise wages and cut work weeks from 84 per two weeks to 40 in one. Tsai also reaffirmed Taiwan's sovereignty claim over East China Sea islands also claimed by China but controlled by Japan. 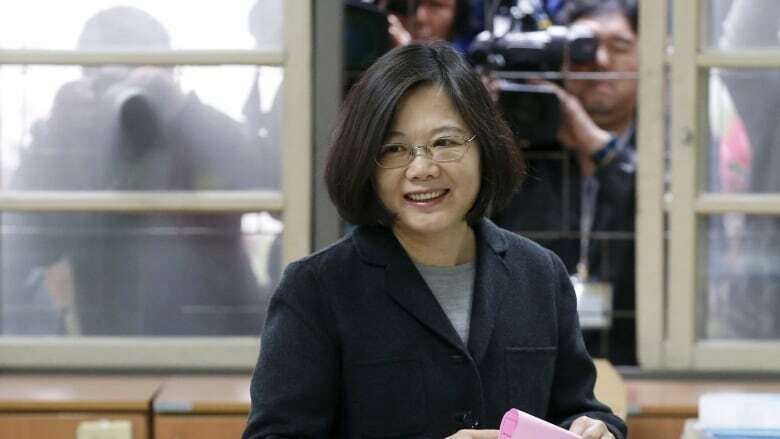 She said Taiwan would also work to lower tensions in the South China Sea, where Taiwan, China and four other governments share overlapping territorial claims. Tsai said she work to recruit talented people to her cabinet, increase the competitiveness of Taiwan's export-oriented economy and safeguard the food supply following a series of scandals. Taiwan was a Japanese colony from 1895 to 1945, and split again from China amid civil war in 1949. Have China, Taiwan finally stopped staring each other down?